Built during the Chola period, the Someshwara Temple, dedicated to Lord Shiva, is one of the most striking examples of ancient Indian architecture. 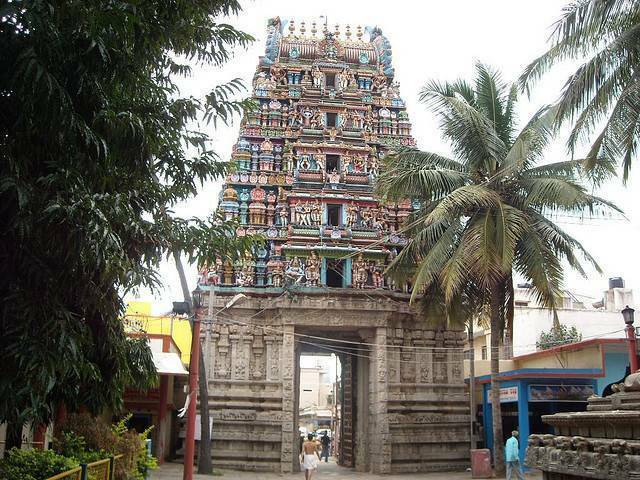 One of the extensive medieval temples in Bangalore city, the construction of this temple began during the Chola period and it was renovated and layers added by Kempe Gowda II in the late 17 Century. The legend goes that Kempe Gowda, tired after hunting once, slept off beneath a tree here and it was in his dream that Lord Shiva as Someshwara appeared and asked him to erect a temple at the very spot. There are a large number of elaborately carved pillars inside the temple premise. These pillars produce the sounds of musical instruments when tapped. Right in front of the temple is placed, the Rajgopuram or the temple tower and the Dhwajastambha, which is basically a huge pillar. This temple also houses the deities of Bhimeswara, Nanjundeswara, Kamakshamma, Arunachaleswara, and Panchalingeswara. Numerous religious festivals are held in this temple throughout the year.